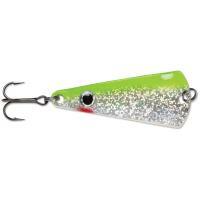 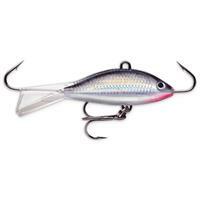 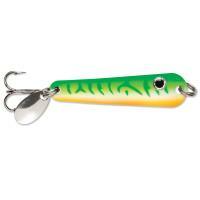 VMC Tingler Spoons offer a wide wobbling action that mimics the movement of a dying baitfish with its curved body and V-Shape design. 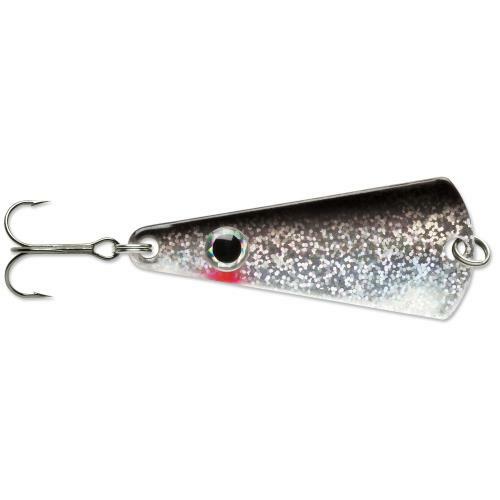 The large holographic eye and live baitfish patterns increase anglers' odds of catching more fish. 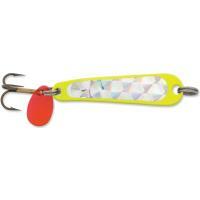 The VMC Ultra Glow colors last up to 15 minutes before needing recharged. 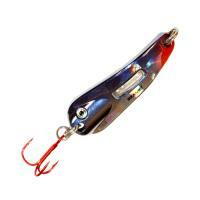 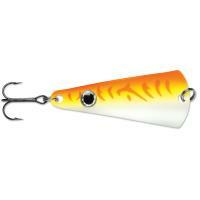 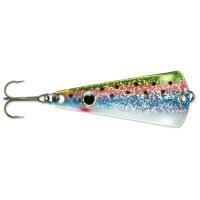 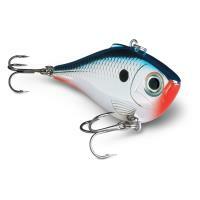 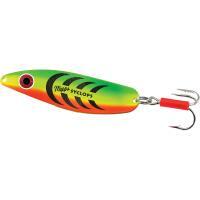 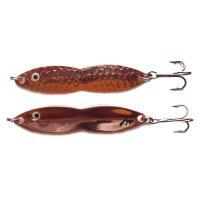 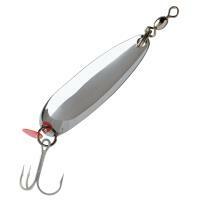 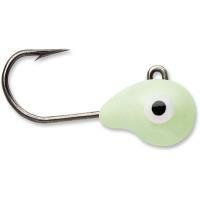 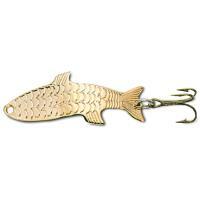 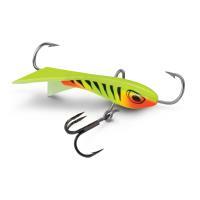 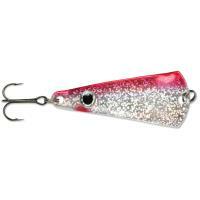 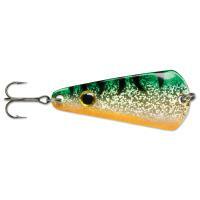 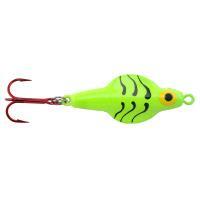 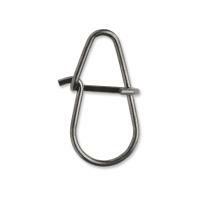 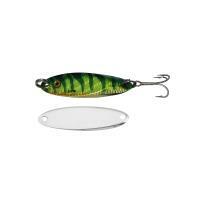 This is a very good lure for jigging perch. 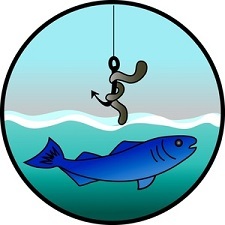 Comments: work well and they have the colors that both of us like.....the fish and me ! 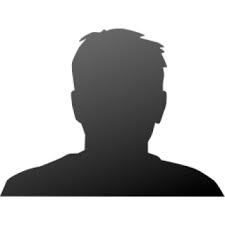 Comments: Another great product from VMC. 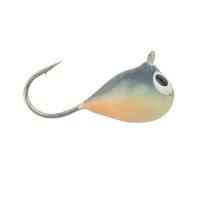 Great action and wide variety of colors. 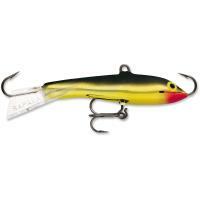 Super on Walleye. 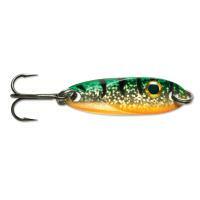 Smaller size works on perch. What color is the back , chome or gold ? 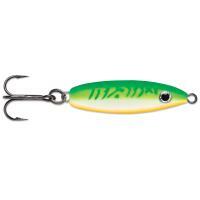 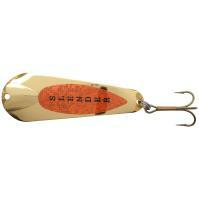 The color on the back of the lure will depend on which one you purchase, they all have different colored backs.